Piaggio rebuilt its fun-and-young Typhoon 50 ahead of the 2018 model year, and the changes are sufficient to give it an “all-new” tag. New body details modify the looks slightly, but what remains is still recognizable as a Typhoon with plenty of key elements that keep it close to the family tree. Not only is the engine new, it’s a super-clean two-stroke that meets Euro 4 standards due to a number of improvements in induction and emissions control. The factory plans on bringing this little ride to the U.S. for the entry-level/teenager market, so let’s take a look at what the Italian scooter maker has in store for us. Continue reading for my look at the Piaggio Typhoon 50. Does it look familiar? It should. Overseas the Typhoon is marketed under the Gilera brand — another of Piaggio groups — with a two-stroke engine. Here it’s the Typhoon 50 and its big brother, the Typhoon 125, under the Piaggio banner with four-stroke engines. With its sport styling, the Typhoon is a little, lightweight scooter with some off-road prowess — maybe not off-road off-road, but at least a little rugged-dirt-road capable. That shark-nose front fairing gives it a bit of the sport-bike aggressive appeal but with the convenience of a scooter. 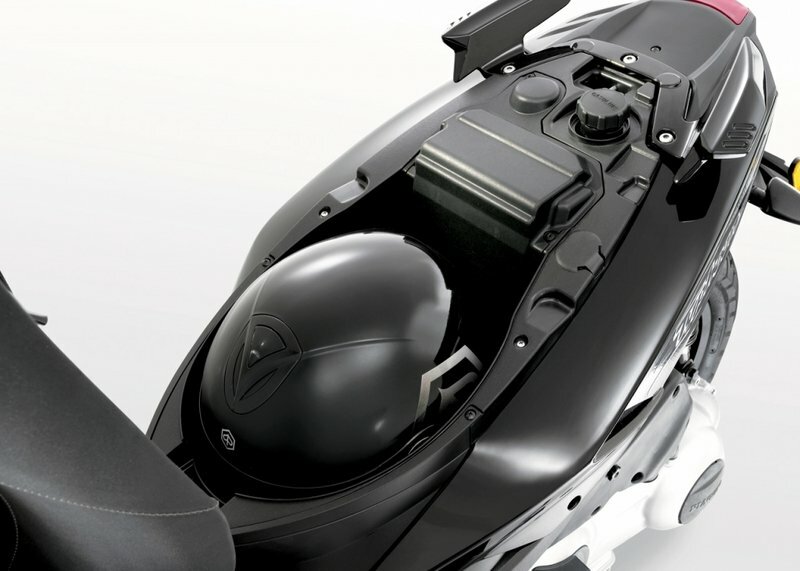 Continue reading for my review of the Piaggio Typhoon 50 and Typhoon 125. 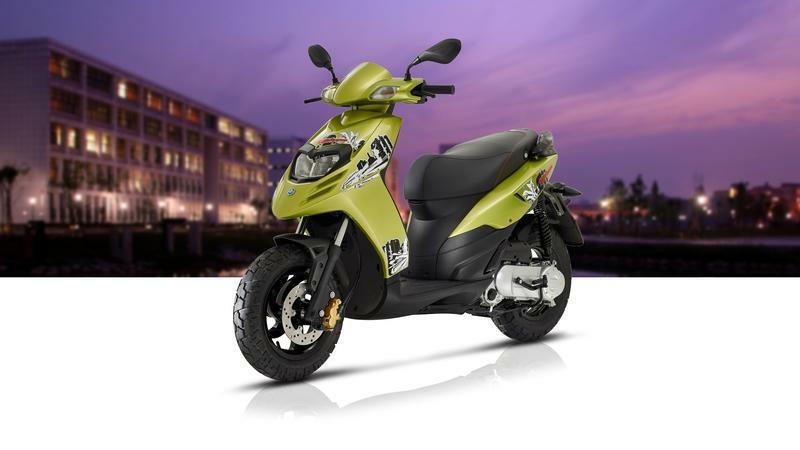 The Piaggio brand started out in 1884 and survived (barely) two World Wars while building rail machinery and aircraft. In an effort to provide affordable transportation for post-WWII Italy, the factory launched the iconic Vespa scooter line in 1946. That model fueled the success of the company, which now operates in over 50 countries worldwide. 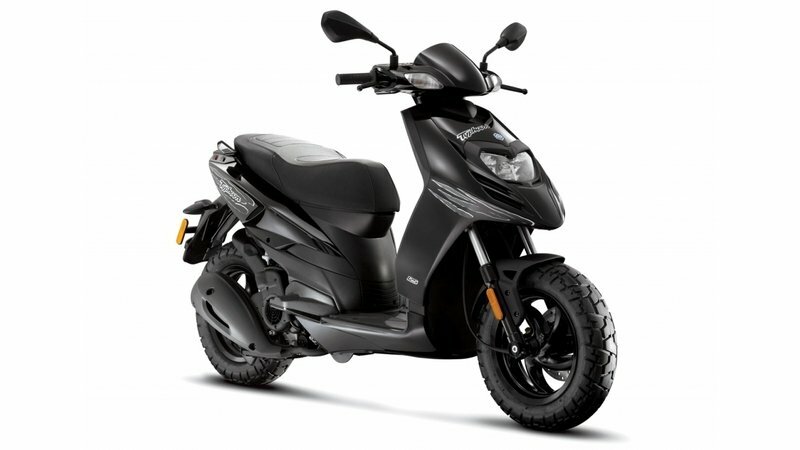 Piaggio literally wrote the book on scooters, and they add another chapter with the 2015 Typhoon 125. Let’s take a look at what 60 years of scooter evolution looks like. Continue reading for my review of the Piaggio Typhoon 125.